Waterworks Lamson is expanding two of their most interesting product lines for 2018. The Center Axis systems and Cobalt reels. If you haven’t cast the Center Axis rod/reel system, you should. It’s one of the most interesting new products in fly fishing. It’s hotly debated but I really like it. You may too. The cool news this year is the introduction of the Center Axis for saltwater. Not just supersized, there are some meaningful engineering changes to bring these rods up to saltwater standards. Lawson is also introducing new sizes in their Cobalt reel lineup. 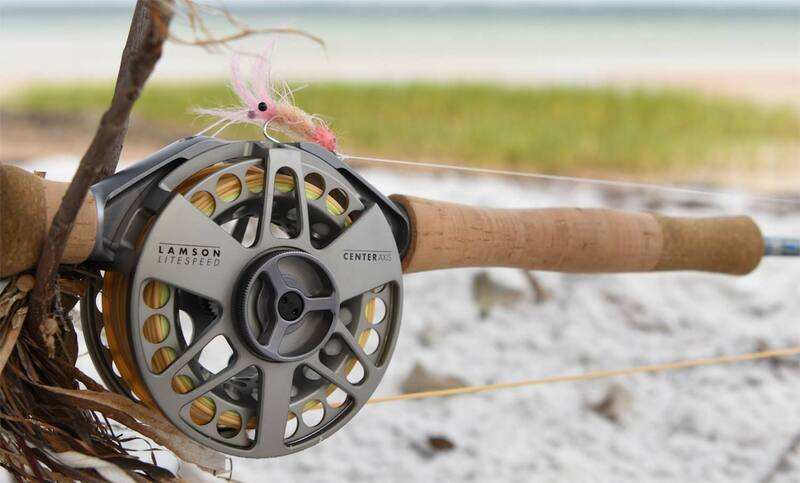 Smaller reels for light saltwater setups that are just as at home on a trout rover. These reels are absolute tanks. Watch the video for all of the details on cool new Lamson Fly-fishing gear for 2018. This entry was posted in Fly Fishing Gear, The Hot Ticket by Louis Cahill. Bookmark the permalink. Very interesting, nice work Louis!